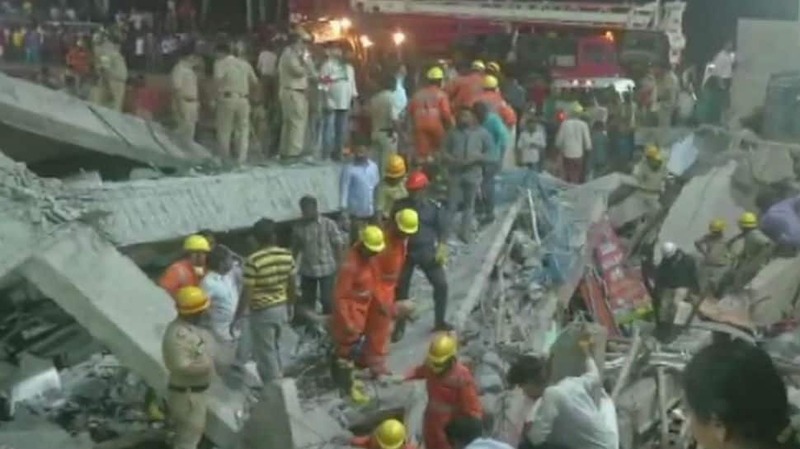 A team from the National Disaster Response Force joined local authorities to help rescue people from under the rubble of an under-construction building that came down on Tuesday night in Karnataka’s Dharwad. Rescue operations were in full swing well into the wee hours of Tuesday morning with authorities saying that it could take even longer to ensure that no one is trapped. News agency ANI reported that 37 people have been rescued and that one more dead body was recovered – taking the death toll to three. The under-construction building came crashing down in Dharwad’s Kumareshwar Nagar. Initial reports suggested that close to 40 people were feared trapped under the rubble although there has been no confirmation on the exact number. Cops and fire tenders rushed to the spot soon after the collapse and commenced rescue and relief operations. District Collector Deepa Cholan was also present here soon after the collapse. The reason for the under-construction building – owned by three individuals named Basavraj Nigadi, Gangadhar Shintre and Ravi Sobrad – is not yet known with authorities saying that rescue operations are the main focus area as of now. An investigation could be launched once it is confirmed that everyone has been rescued from the site. Meanwhile, Karnataka CM HD Kumaraswamy expressed his shock over the unfortunate incident. “Shocked to learn about the collapse of an under-construction building in Dharwad. I’ve instructed the Chief Secretary to supervise rescue operations. I have also directed the CS to send additional resources and expert rescuers by a special flight to #Dharwad,” he tweeted on Tuesday night.